Getting caffeinated is the ultimate form of self-indulgence, especially when the coffee is carefully sourced from premier growing regions and roasted only in limited batches. From a small town on the Caldera River, in western Panama where the surrounding Chiriquí Highlands are home to coffee plantations and the Barú Volcano National Park, we bring you Panama Jaguar Blend. This very rare 100% Arabica coffee blend is grown in the mountains of the Chiriqui region at an altitude of 4,900 - 5,400 ft where only the ripest, red cherries are picked, processed, and sorted. Natural shade trees provide cover for the coffee plants and mineral rich volcanic soil supports the growth of this incredibly high grade coffee. Fresh roasted and sealed in ♻️recyclable pods. The Boquete district in western Panama and the surrounding Chiriquí Highlands are home to coffee plantations with some of the highest quality coffee in the world and to the Barú Volcano National Park, Panama Jaguar Blend is from the mountains of the Chiriqui region at an altitude of 4,900 - 5,400 ft. Natural shade trees provide cover for the coffee plants and mineral rich volcanic soil supports the growth of this incredibly high grade coffee. We've spent years developing eco-friendly pods and perfecting the science of single-serve beverages to deliver the most flavorful cup. Made from #5 Recyclable plastics, the patented ridged design of our pods improves extraction with a short brew cycle. Packing 20% more coffee per pod doesn't hurt either. See what people are saying about us on Facebook! We have 4,300+ 5-Star Reviews. More than a store, we're a Single-Serve Factory. We make premier beverages in recyclable pods for the popular Keurig® and Keurig® 2.0 brewers. 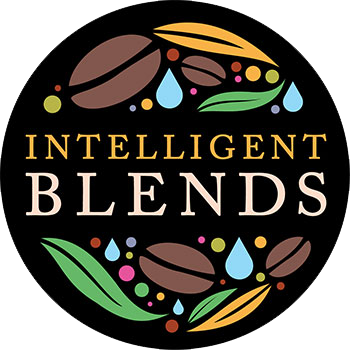 Skipping the middlemen, Intelligent Blends saves you money and delivers the freshest pods to your doorstep with free shipping. Don't Miss Out! Sign Up.